Bad news, Killing Eve slackers: You now have one less reason not to get caught up on one of cable’s best new shows, with BBC America announcing that the series’ second season will now air simultaneously on AMC, right alongside all those grim and gritty zombie shows you were already going to watch. 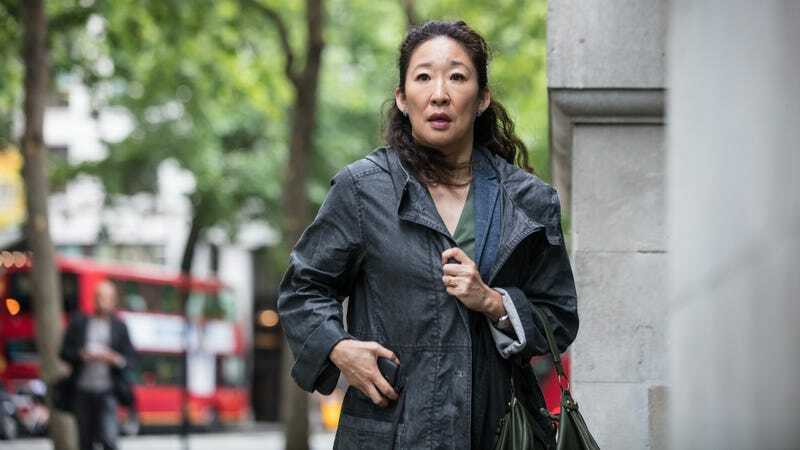 For those unfamiliar with Killing Eve—and hey, we know you’re out there—the show centers on Jodie Comer and Sandra Oh, playing an equally obsessed pair of cat and mouse/also-cat, in the form of an international assassin and the intelligence analyst desperately trying to track her down. In case it wasn’t clear, it’s also exceptionally tense and fascinating television, landing at No. 4 on our list of the best TV of 2018, and somehow managing to be both funny and human while still centering on a psychopathic murderer who kills with very little qualm. The show’s second season—which will see showrunner Phoebe Waller-Bridge handing off head writing duties to Emerald Fennell—will debut on April 7, and will air simultaneously on both the annoyingly inconvenient BBC America, and the more readily available AMC. You should probably check it out.